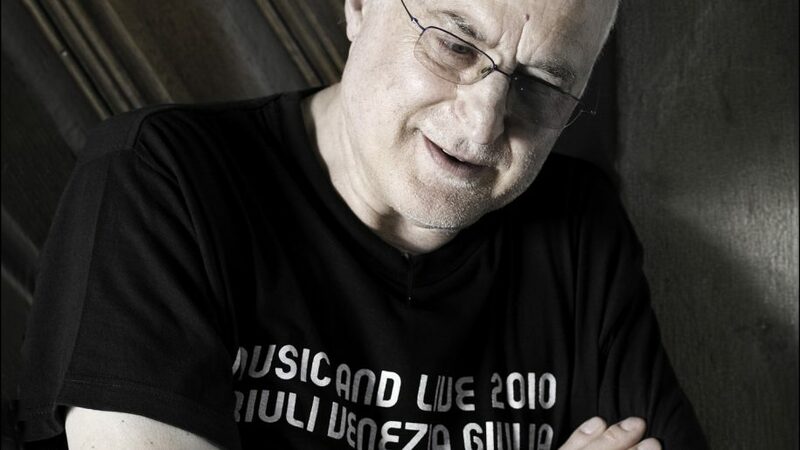 Born in 1948 in a mountain village in the province of Udine, in the Northeast of Italy, Renzo Marzona is already passionate from a very young age about sound and craftsmanship, which will accompany him throughout his life as a painter and musician. After studying music, At the age of 25 he approaches the visual arts, frequenting the International School of Graphics in Venice and coming into direct contact with many well-known artists. His artistic journey begins with an “enplenair” painting of figurative / impressionist inspiration, to then move on to the informal and finally arrive at the abstraction with a very personal touch that involves the use of letters and numbers. Then he will be driven to further reduce the amount of forms present in his paintings, in a lyrical and minimalist drift. The last phase of his quarantine career begins with the new millennium. His pieces are now configured as three-dimensional works where applications of art elements, musical quotes and the evocation of his land are the main protagonists. Since 1976 he has been exhibiting his work in Italy and abroad. A very complete documentation of its artistic route can be found in the “Senza Titolo” catalog edited by Skira / Milano. Lives and works in Tolmezzo, Italy.